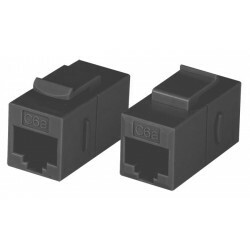 Straight type coupler for connecting two CAT6a cables together. Female-to female CAT6a RJ45 connectors. Compatible with modular patch panels.